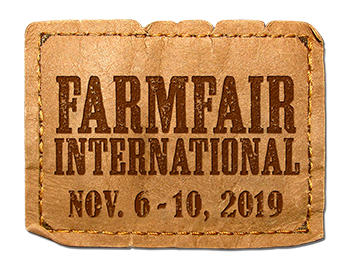 Each year Farmfair International sees thousands of guests come together to buy, show, and sell top-quality livestock and agriculture related products. With 15 purebred beef breeds shown, equine competitions and clinics, and exciting western entertainment, there is no better place to experience Canadian agriculture and western culture than Farmfair International. Farmfair International is the proud host of the 2018 Canadian National Charolais and Lowline Shows as well as the Western National Hereford Show. Over 40% of the Canadian cattle population is located in Alberta. The highest cattle population density in Canada is within a 300 km radius of Edmonton. More than two-thirds of Canadian beef processing occurs in Alberta. More than 100,000 guests come to Farmfair International to view, show and sell top quality livestock. 15 purebred beef breeds are shown and over 1,100 head of quality cattle exhibited.